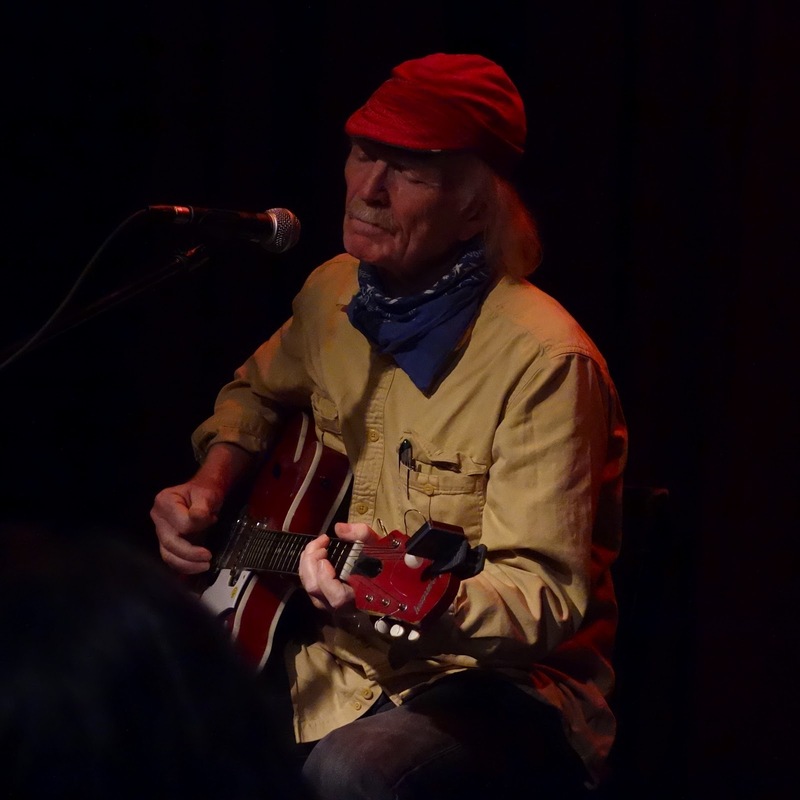 Age and experience deepen quality artists & Michael Hurley is a prime example. Like the warm glow of reclaimed wood or the rich patina of antique copper, father time can sometimes be kind. 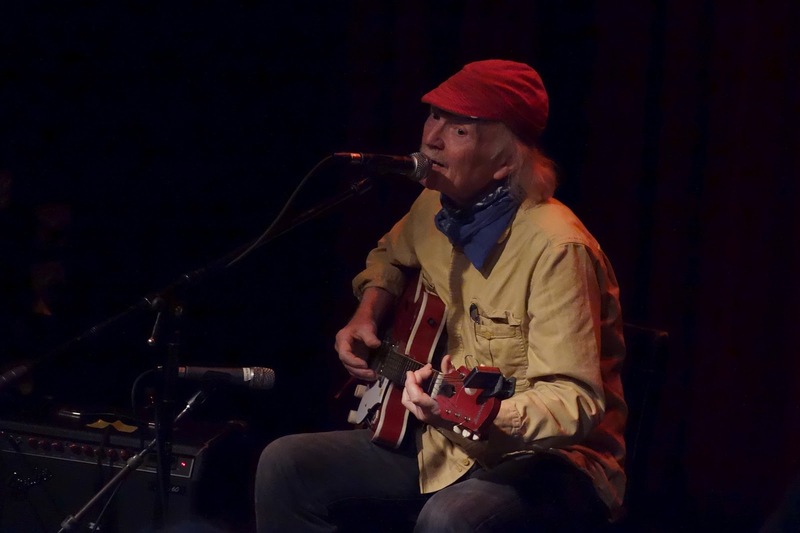 It was 50 years ago when Michael Hurley released his first album. Pennsylvania born, he moved to New York City where he picked his guitar and sang his folk songs in Greenwich Village until he got discovered. Since then he's done a lot of living and made a lot of music. 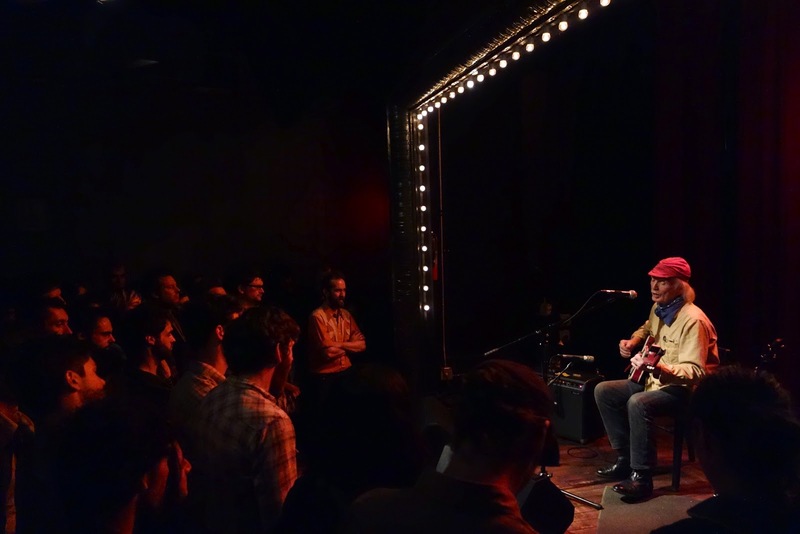 On Thursday night, five decades later, he captivated a sell out crowd of adoring fans in Brooklyn. The night's openers, The Horse Eyed Men, had a light and comical set of silly folk songs, but things got real in a hurry once Mr. Hurley took the stage. The audience, most of which were young enough to be his grandchildren, fell into pin drop silence as soon as he began to play. 74 years haven't lessened his voice a bit. He sang of everything from love lost to love found, the evils of Monsanto and the joys of eating and shitting. At times we sang along and shared laughs. Other times I spotted people wiping tears from their eyes. It ain't easy holding a modern audience's attention with just your voice and a guitar or banjo. Michael Hurley did it with ease. Time hasn't soured him a bit, it's only made him better. 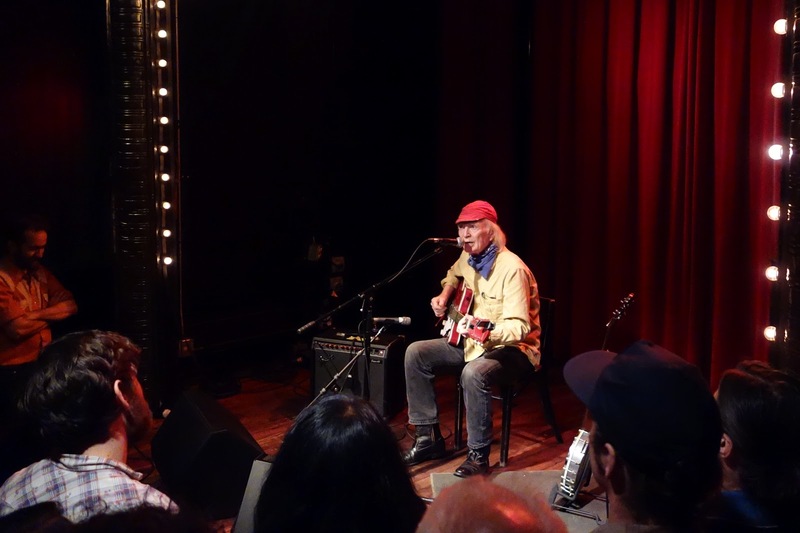 Check out the recent documentary about Michael Hurley's music, his life on the road, and the art he makes, HERE. For the Werewolf Have Sympathy from Drew Christie on Vimeo.